Property prices, particularly in London and the south-east are completely out of control, and have been for years. Osborne’s economic policies seem determined to keep the whole dodgy scheme running despite the fact that more and more people are being priced out of the market. What’s interesting about the London property bubble is that it is increasingly fueled by foreign banks and investors. Meaning that exposure to its eventual collapse is distributed. Quick: everybody buy a second home now! Since I first moved here 13 years ago, Cerdanyola has been governed by ICV and the PSC. Under Cristina Real (PSC) until 2003 and especially Toni Morral (ICV) until 2011, Cerdanyola has changed a lot. In lots of ways for the best (I’m thinking about the improvements to Carrer Sant Ramon, Plaça Sant Ramon and Plaça Abat Oliba in particular). But there has also been inertia and the wrong sort of development. The toxic waste dumps between the main town and Bellaterra have been left to fester. The Riu Sec is a total mess. The Altis sports center was mismanaged into bankruptcy, only to see €8M spent on turning it into a library. Money has been spent on padel courts while nurseries are shutting down. Plans surfaced for the Centre Direccional – 4,000 new houses to be built on green field land. And a huge shopping center is planned, with the approval of the PSC and ICV. Most recently, the proposed construction of a crematorium, a few hundred metres from people’s homes, hidden by the PSC and ICV as a simple ‘remodeling’ of the existing cemetery. Until late last year, I was a member of the local branch of Iniciativa. My reasons for leaving were mostly down to the party’s national leadership. But they weren’t helped by what I feel is the complicit attitude on the part of Cerdanyola’s branch. Jordi Miró should, in my opinion, defend sustainable development and green policies but he shrugged and told me that dealing with the toxic waste dumps – where they want to build these 4,000 homes – was “too expensive”. A party that refused to rule out the construction of a large shopping centre on the edge of town (Cerdanyola’s residents have access to good value locally owned shops in the town centre, as well as shopping malls at Baricentro, Sant Cugat, La Maquinista, Terrassa, etc – there is, simply, no need for another large out-of-town centre). I think that Jordi is a good guy on a personal level – I voted for him in last year’s primaries – but I don’t think he or his party can deliver change in Cerdanyola. Meanwhile, Carme Carmona, the appointed PSC mayor of Cerdanyola seems to have done nothing. She and her party celebrate every pot hole filled as if it’s a minor miracle. But ask them why they’ve cut down dozens of trees in the last few months and they’re silent. They’ve acted as if doing the bare minimum is something to be celebrated. I don’t care that much about the cynical way they’ve suddenly started repairing streets in the last few weeks, in time for the elections. “It’s what everyone does”, after all. I do care that almost every project she and her town hall seem to be proud of has been completed within a couple of months of the elections. And I cared when Carmona complained on Twitter about ‘Latin barbecues’, as if immigrants were the only ones capable of making a mess in the park. I don’t know if there’s any truth in the rumour that she has recently bought a house in Sant Cugat but it wouldn’t surprise me. During the last 4 years, Helena Solà and her ERC colleagues have formed a genuine opposition to the PSC-ICV ajuntament. Questioning the town hall’s spending, the vanity projects, the public funds for a football pitch and padel courts that the vast majority won’t use, the senseless tree-cutting campaign (allegedly to save money), the secret plans for a shopping center, the secret agreement to build a crematorium, the abject failure to resolve a hundred other problems. ERC’s program for Cerdanyola is ambitious but not unrealistic. A bit like how I’d describe their chances of winning (they won the most votes in the Euro elections this year). Having spoken to her a few times over the last year or so, I believe that she’s genuinely determined to improve Cerdanyola and to deliver change from the left. So this year, I’ll vote for ERC and Helena Solà in Cerdanyola. They haven’t held the town hall since the 2nd republic: I’d say it’s time to give them another chance. When I first moved to Spain, nearly 10 years ago, I knew relatively little about the political parties on offer here. I’ll hopefully be able to post a couple of times over the weekend. thebadPoll: Where to live in Barcelona? Gemma and I are beginning the process of looking for a new house. Our awesome little flat in Cerdanyola del Vallès was perfect as a starting point for our life together here but 7 years on, it’s not getting any bigger. We’re looking in Cerdanyola, because we like the area where we live. But we’re also going to look at places in other parts of the metropolitan zone. 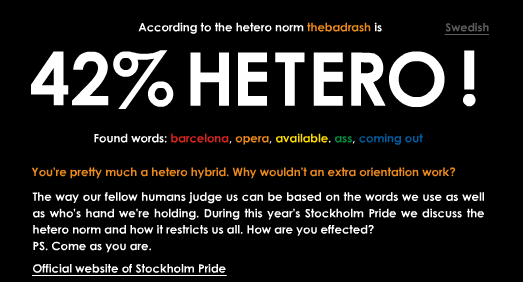 This thebadPoll is really very simple: where would you choose to live in BCN if you could choose right now? Do you like the narrow streets of the Gòtic, or do you prefer the seaside charm of Vilanova i la Geltrù? The list of options is not exhaustive, so feel free to recommend a place if you really think it needs a special mention. As usual, you can vote on the right >> … but it’s your comments I’m hungry for. I had a dream last night that I received some sort of prize from the communist mayor of Cerdanyola. I think it was for coming 1st in a treasure hunt. But after I had a chat with him, I realised that in fact he was none other than Federico Jiménez Losantos, former communist, right-wing shock jock and utterly mad conspiracy theorist. Also, he only had one hand. It was an imagery-laden dream and while not exactly terrifying (I had won first place, after all), I can’t help but wonder what the significance might be of having Losantos talk to me in my sleep, in Catalan.